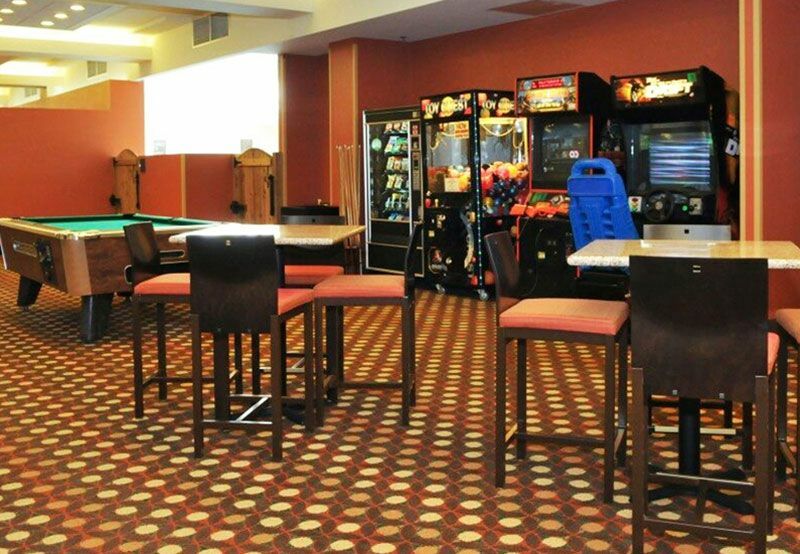 Get the rest you need and the amenities you crave at our friendly Rochester, MN hotel. 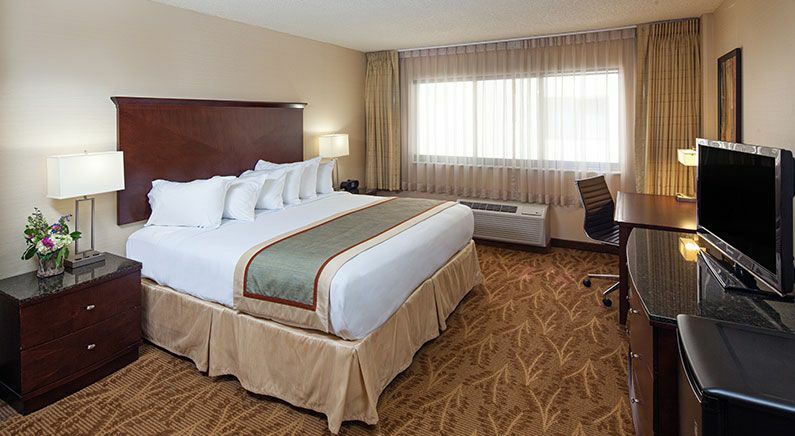 Situated in the heart of downtown, our 271-room hotel has all the comforts of home, plus thoughtful services including a complimentary hot/cold breakfast buffet so you can refuel for a busy day. 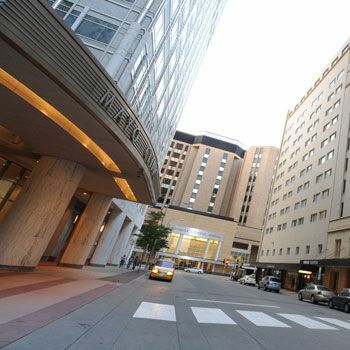 With direct access to the world-renowned Mayo Clinic via a climate-controlled underground concourse or pedestrian skyway, stay within minutes of what brings you to town. Enjoy our free Wi-Fi, a convenient shuttle service to area clinics, and our 24-hour front desk that is available to help you with any travel plans. Keep up with your exercise routine in the fitness center, or swim laps and unwind in the heated indoor pool and spa. 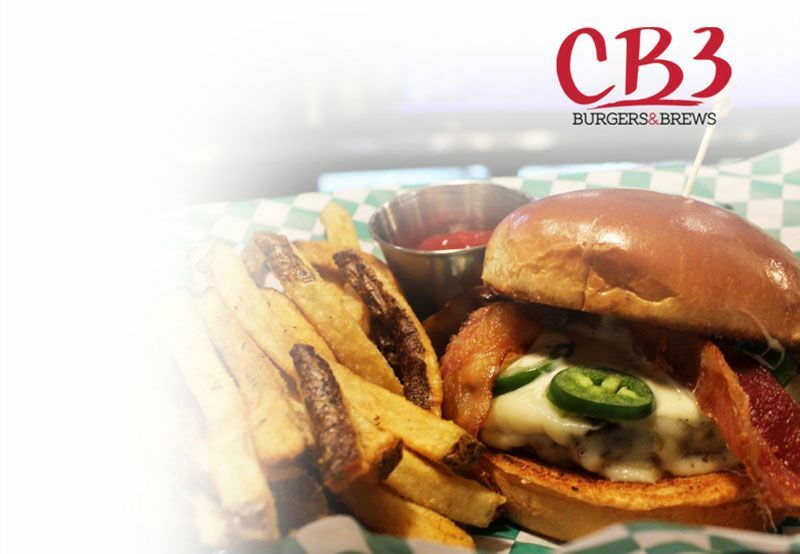 Stop in to CB3 Burgers & Brews to sample over 10 styles of handcrafted burgers, adult milkshakes, and ice-cold beers - open for lunch and dinner daily. 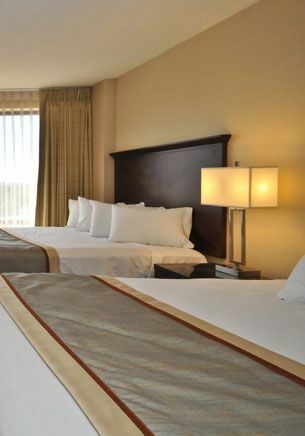 Our modern and spacious guestrooms and suites are fitted with flat-screen HDTVs and kitchenettes, perfect for extended stays. 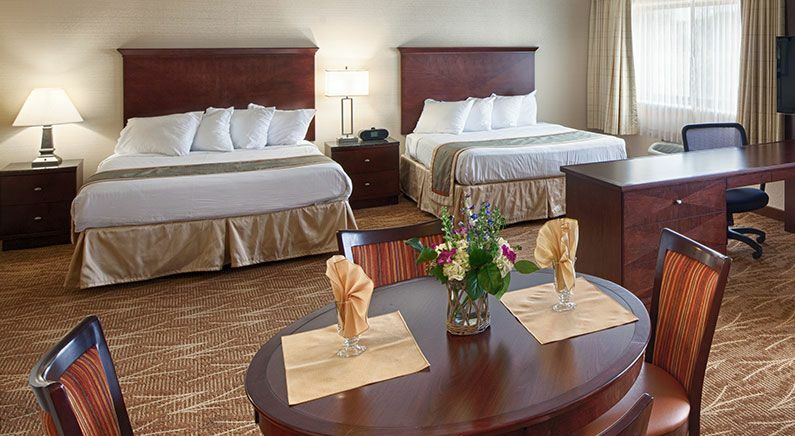 Whatever the reason for your travels may be, let the Kahler Inn & Suites welcome you to Rochester. 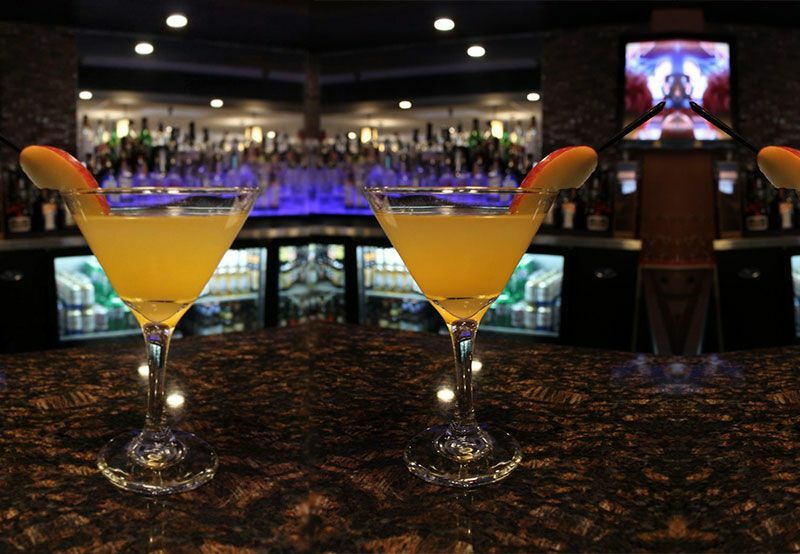 With a prime downtown Rochester address, take advantage of staying just steps from a vibrant nightlife filled with restaurants and bars to explore. 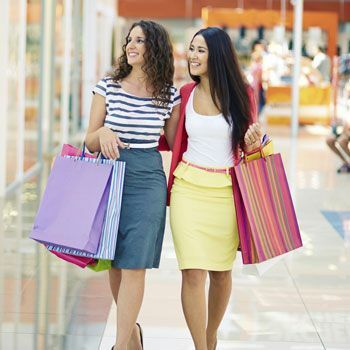 Find all of your shopping needs at the nearby Grand Shops at Kahler and the Shops at University Square. 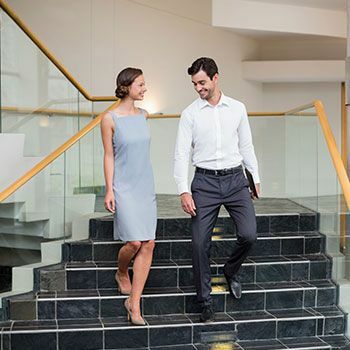 Tour the historic Plummer Building and get to where you need to be in minutes, as our hotel is directly connected to the Mayo Clinic, University of Minnesota Rochester, Mayo Civic Center, and the Government Center. 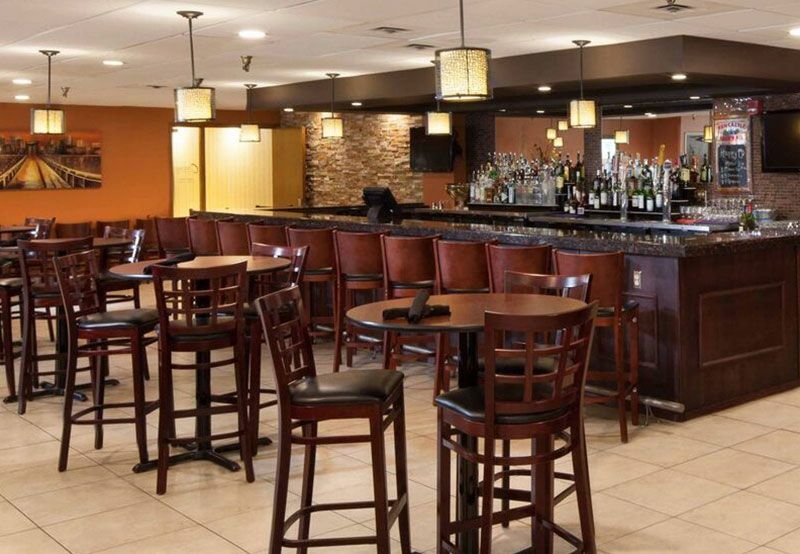 CB3 Burgers & Brew offers handcrafted burgers, milkshakes, and beer in a casual setting. 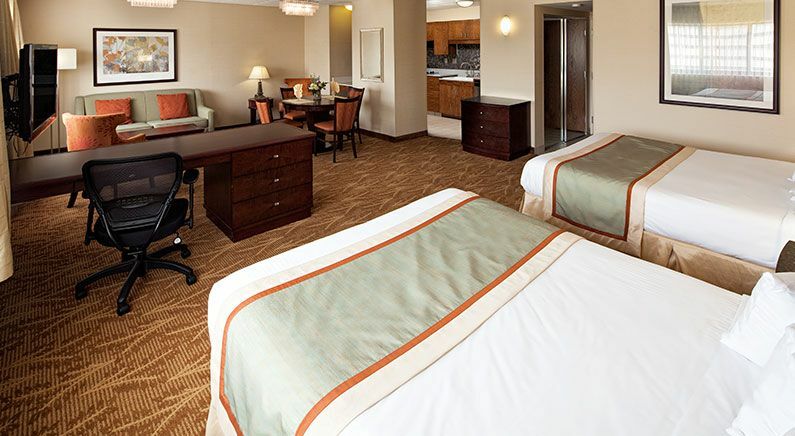 Get a glimpse of our modern hotel, spacious accommodations, and thoughtful amenities. Sample over ten varieties of burgers, adult milkshakes, and ice-cold beers. 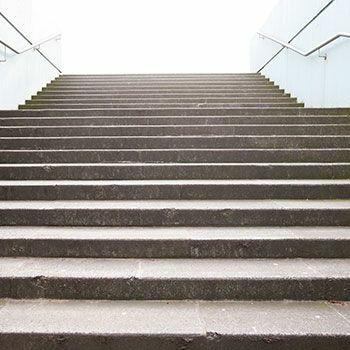 Get direct access by pedestrian underground concourse or skyway. 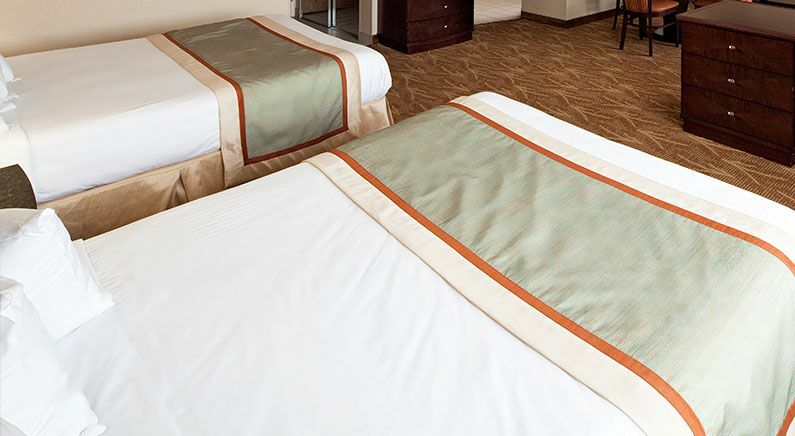 Take advantage of our laundry services, perfect for extended stays. Rise and shine to freshly brewed coffee, fruit salad, eggs, waffles, and juices. 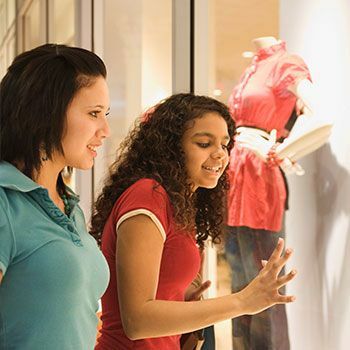 A unique shopping experience within the underground concourse & skyway. 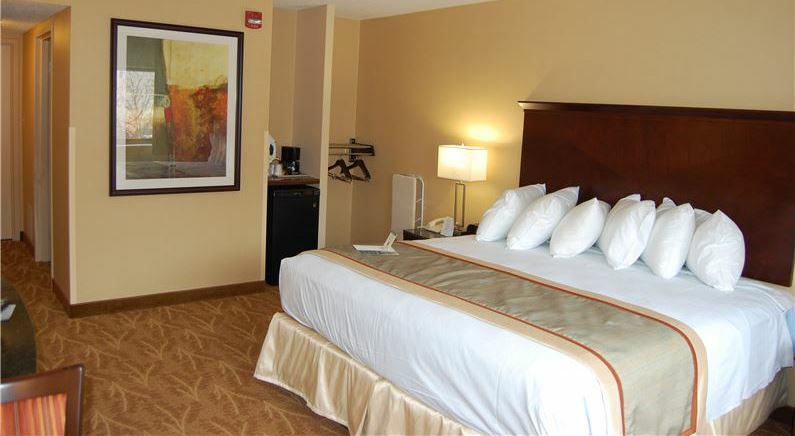 With great shopping, famed architecture, & a lively downtown, you'll love the variety of things to do in just steps from Kahler Inn & Suites. 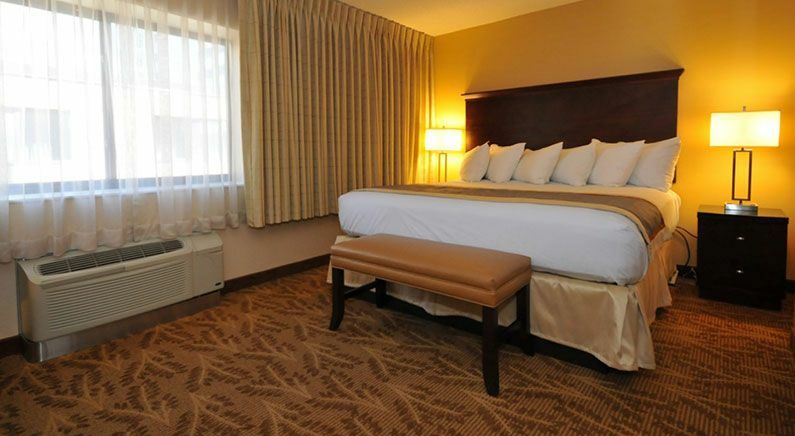 Fitted with a king or queen bed and thoughtful amenities that include a flat-screen TV, workstation, free Wi-Fi, and a mini-fridge. Perfect for families, recharge in this spacious suite fitted with two double beds, a separate living area with sofa bed, and a mini-fridge. 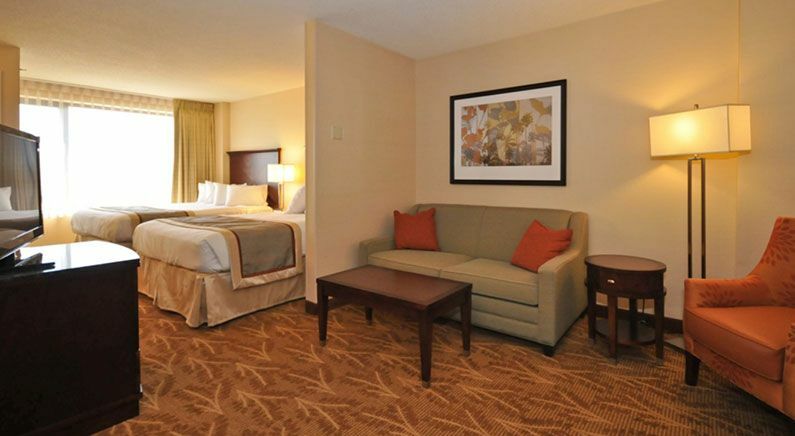 Gaze out over the pool and hot tub area from this comfortable suite featuring two double beds, sofa sleeper, and a kitchenette. 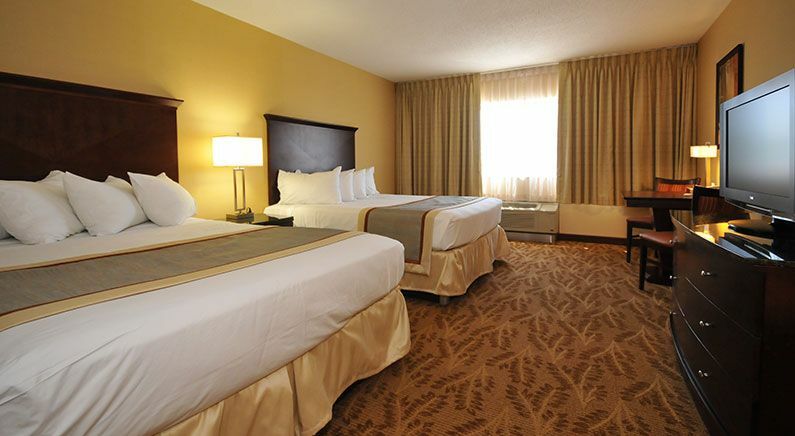 Unwind in one king bed fitted with triple-sheeting & ADA compliant amenities, such as extra wide doors and a roll-in shower. Stretch out in two plush queen beds, a separate living area with sofa bed, and kitchenette with small dining table for two. Boasting a comfortable balcony for lounging and relaxing, enjoy this spacious suite fitted with two plush queen beds and a sofa bed. 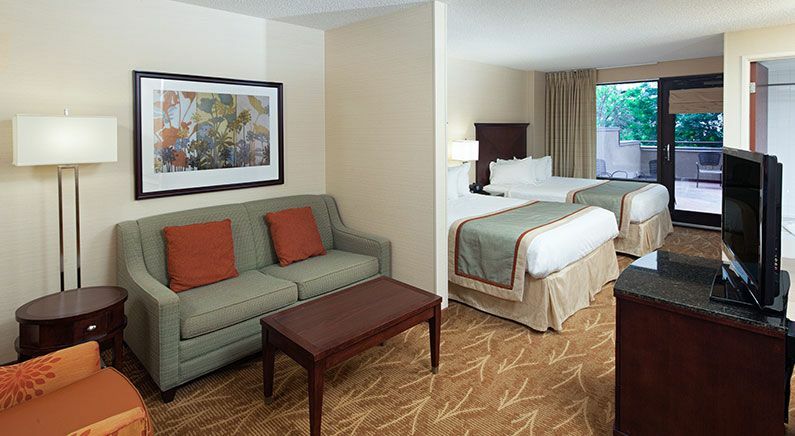 Enjoy all of our standard amenities including, along with ADA compliant amenities, such as extra wide doors and a roll-in shower. Ideal for extended stays, cook up your favorites in a full-sized kitchen and sleep well in two queen beds & a separate living area. Residentially styled with a full kitchen, make yourself at home in two triple-sheeted queen beds and a separate living area with sofa bed.